At Jaclyn J. McGuinness, CPA, we’re committed to providing quality income tax preparation services with a focus on personal, friendly service. You can rely on us for income tax services performed by real people that care about saving you money. Our attentive staff can identify valuable credits and deductions that will help you hold on to more of your hard-earned money. 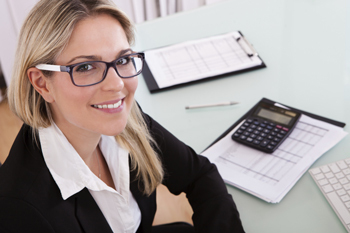 From personal tax returns for individuals to tax preparation for small and midsized businesses, Jaclyn J. McGuinness, CPA has experience you can trust. We’re constantly refining our skills and staying informed of adjustments in the tax laws. We make it our aim to keep pace with the most current Federal and State tax regulations in order to prepare accurate tax returns for all of our clients. Our goal is to offer reliable tax preparation services at reasonable rates to all kinds of taxpayers. Call our CPA firm today at 972-423-1321 or request a free consultation online to learn more about our tax preparation services.